Sunday Service 10:30 am Come Check us Out! We are a lay led congregation. We have a roster of speakers including Unitarian Universalist ministers, other ministers and other guest speakers. Our potluck is a joyous celebration following the service on the third Sundayof each month. If you don’t have a dish to share, join us anyway! Our programs include child care for babies and activities for toddlers and older children. Unitarian Universalism combines the traditions of the Universalists, who organized in 1793, and the Unitarians, who organized in 1825. They consolidated into the UUA in 1961. Both groups trace their roots in North America to the early Massachusetts settlers and to the founders of the Republic. Overseas, their heritages reach back centuries to pioneers in England, Poland, and Transylvania. 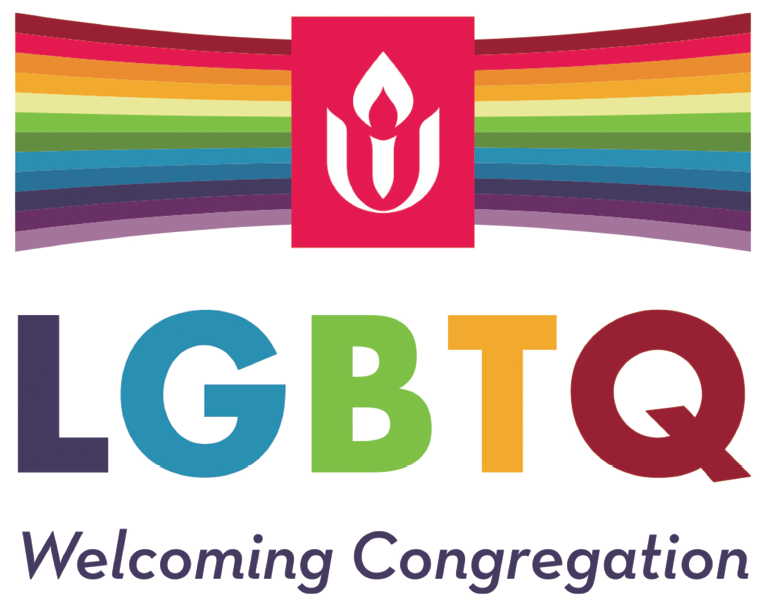 Our Fellowship has been officially recognized as a GLBT Welcoming Congregation since 2004. Unitarians believed in the oneness of God. Universalists believed in universal salvation. Thomas Starr King was both a Unitarian minister and a Universalist minister. He is credited with the observation that Universalists thought God is too good to damn them forever and that Unitarians thought they were too good to be damned forever.